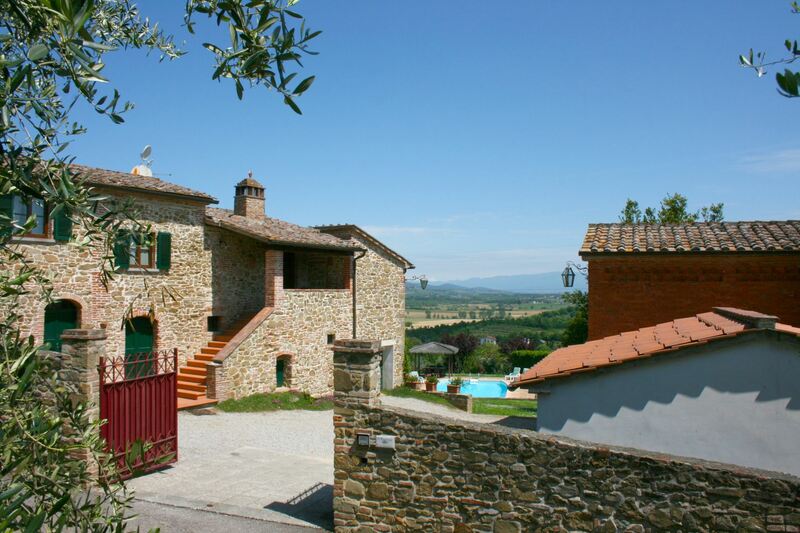 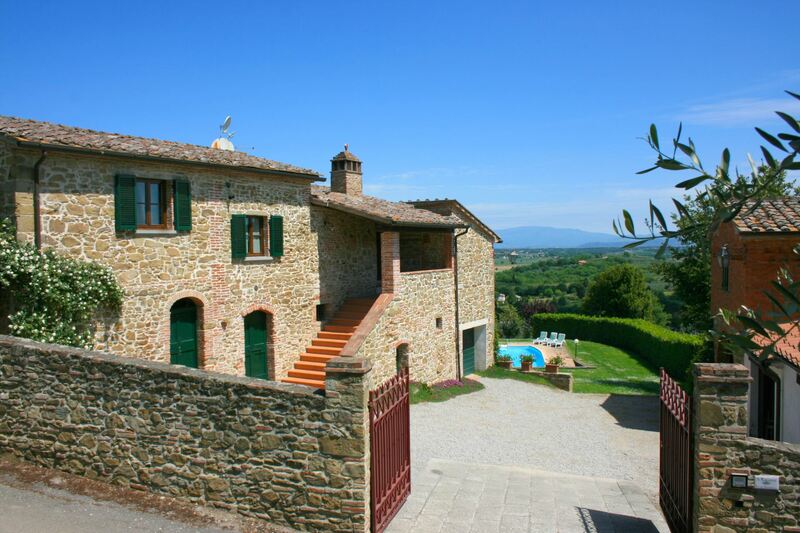 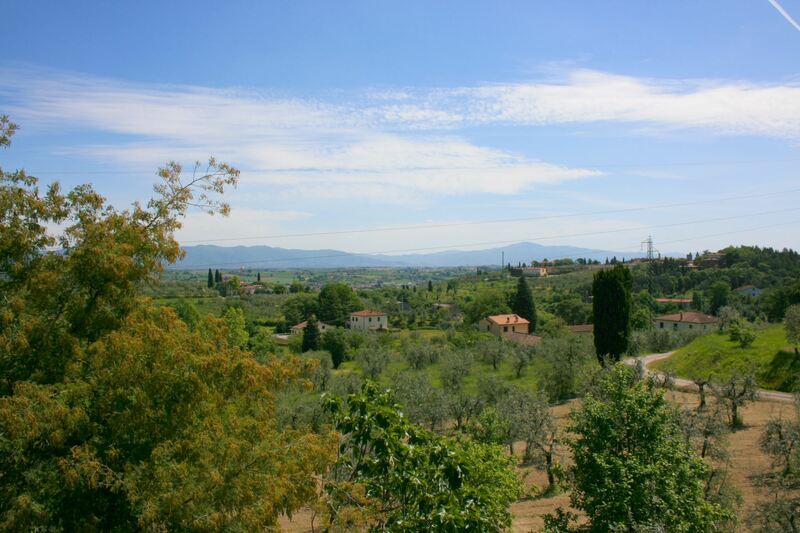 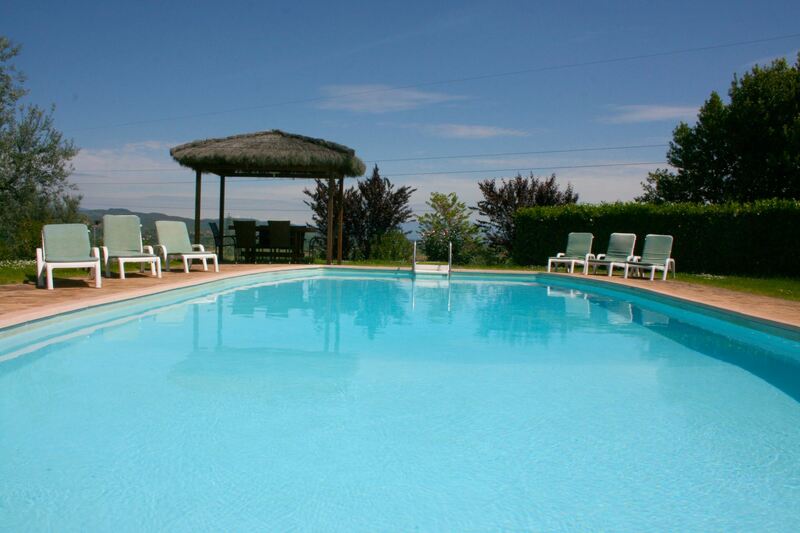 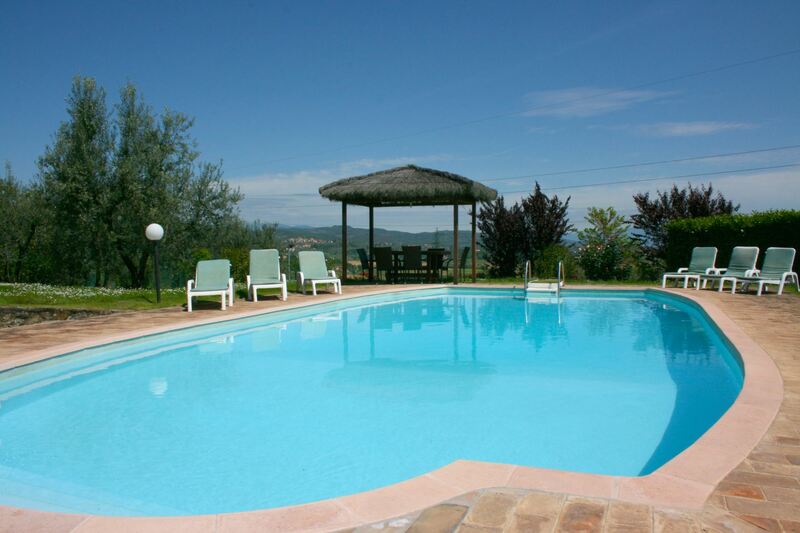 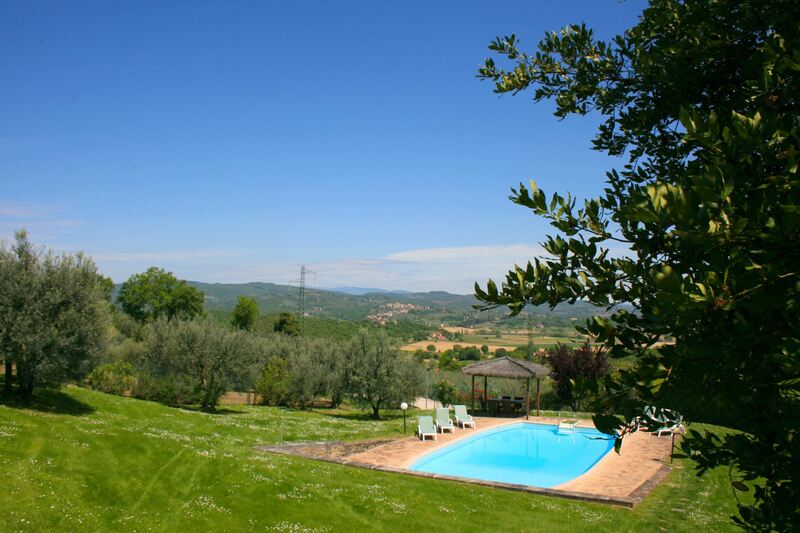 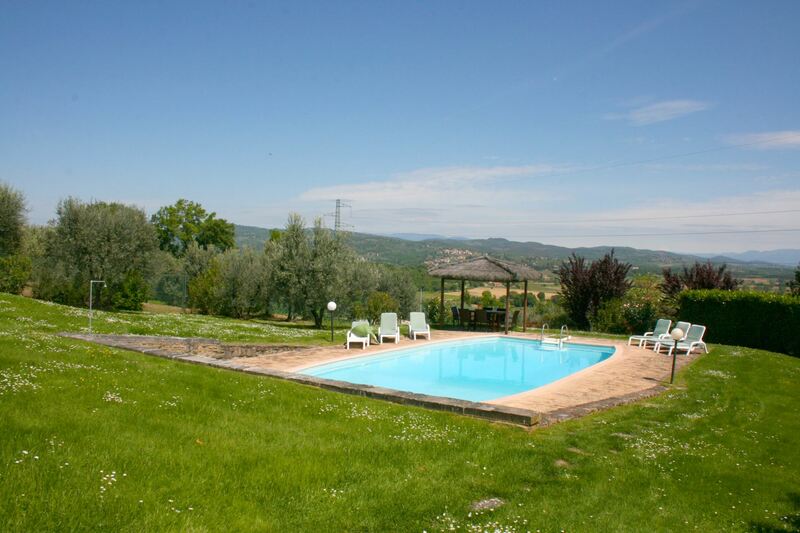 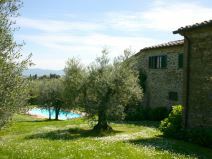 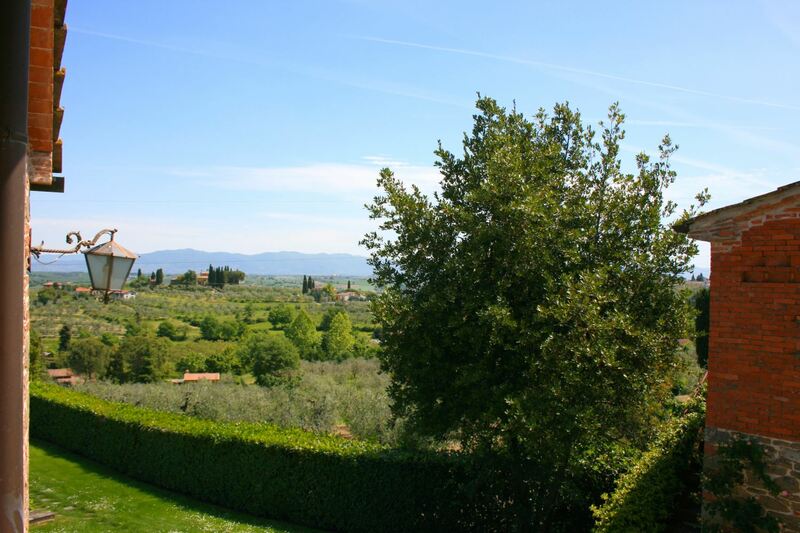 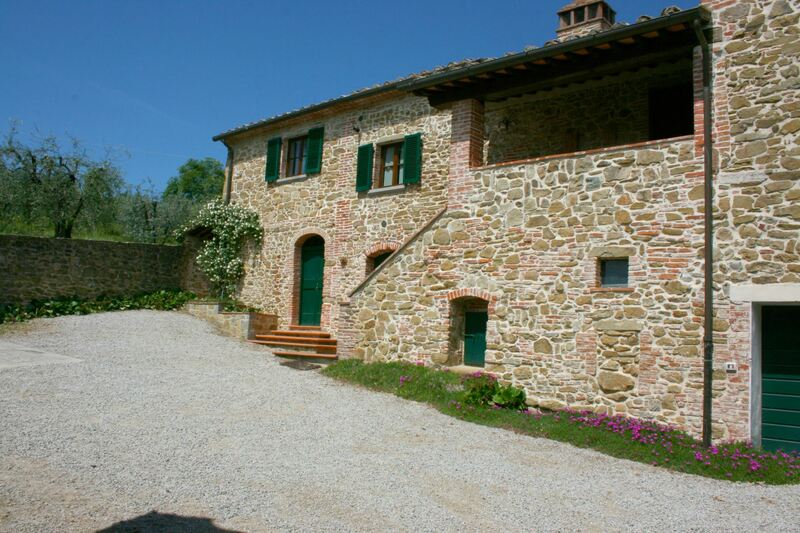 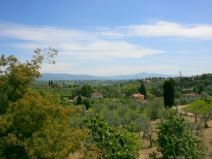 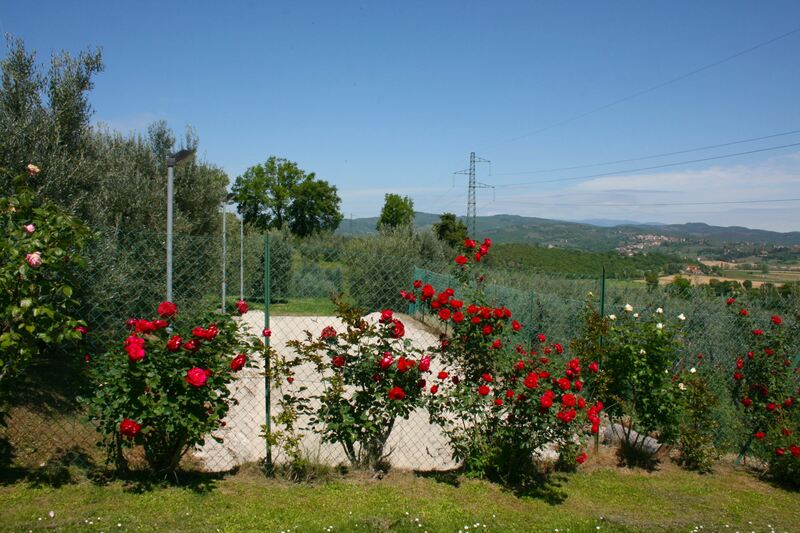 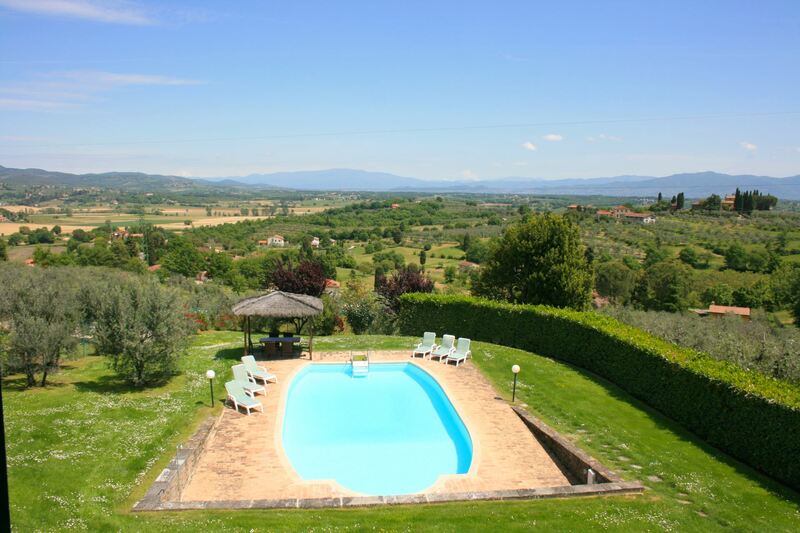 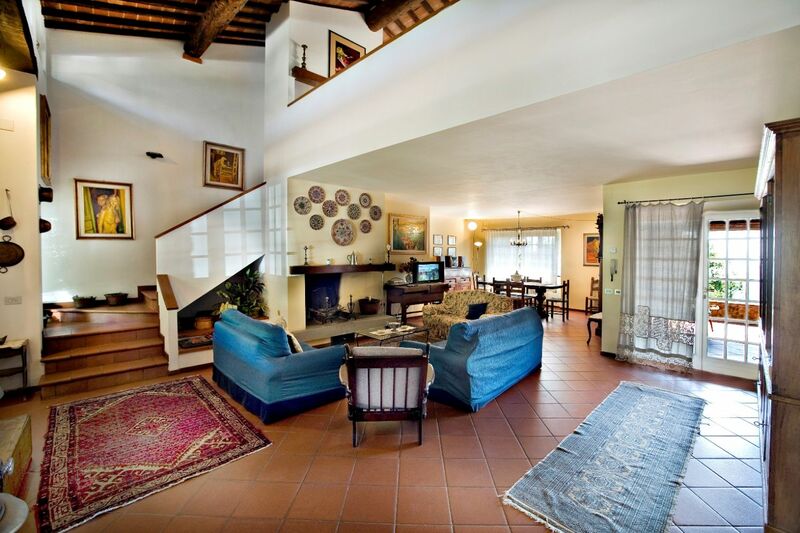 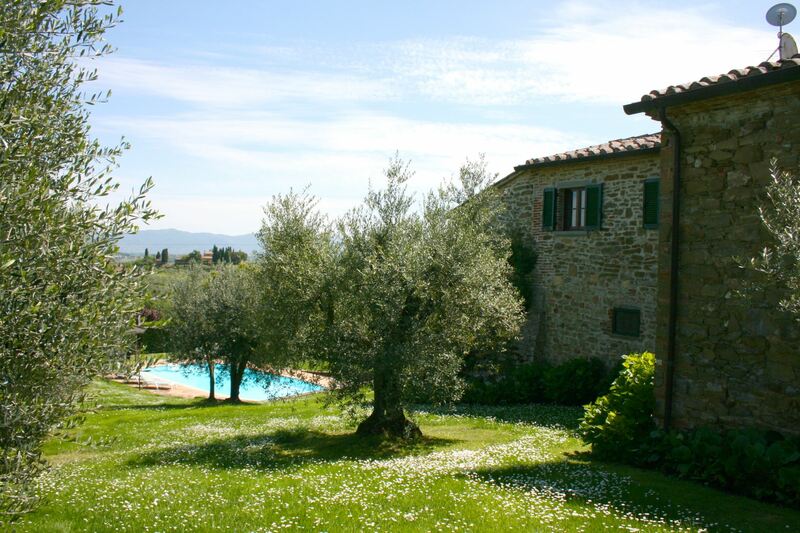 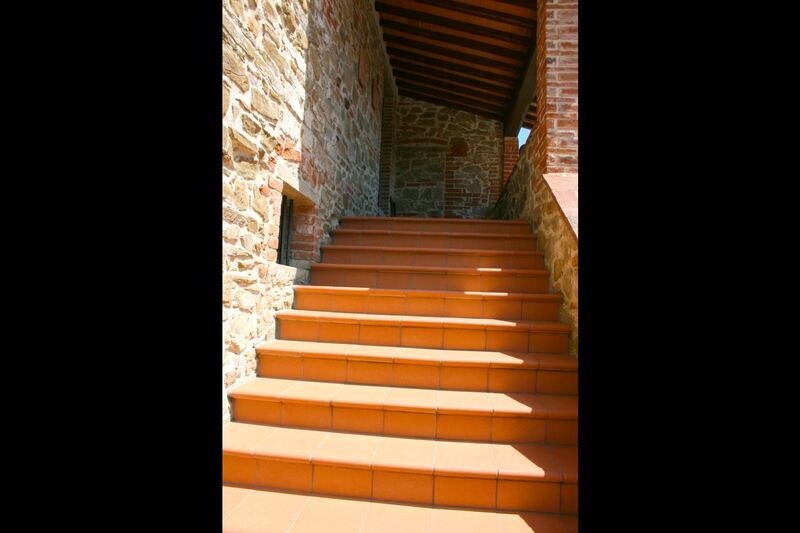 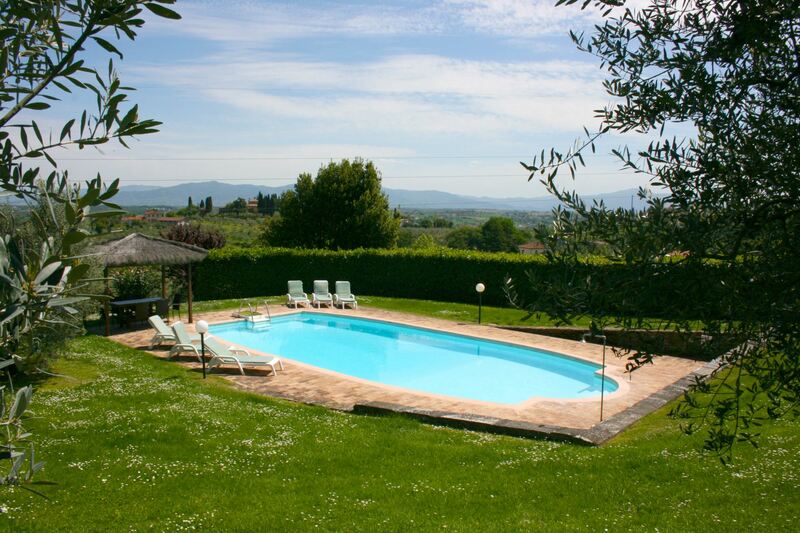 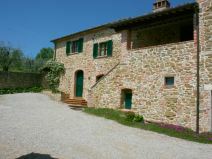 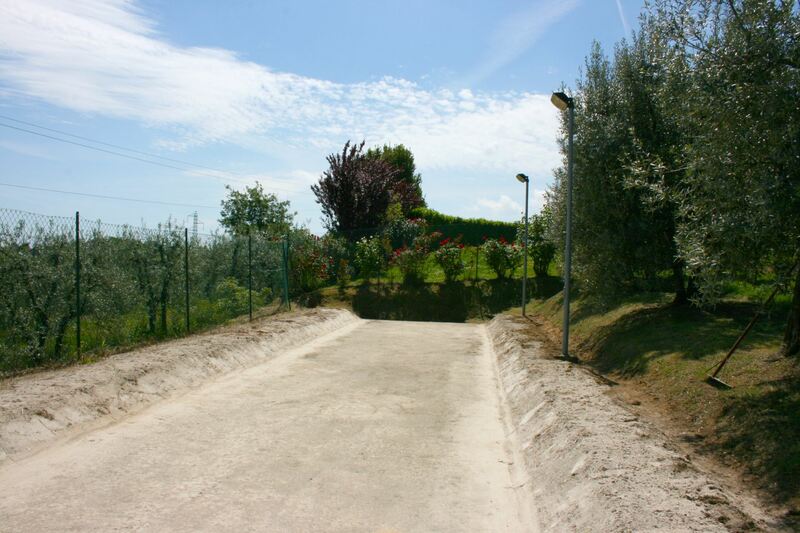 Vacation villa with private and fenced pool near Monte San Savino. 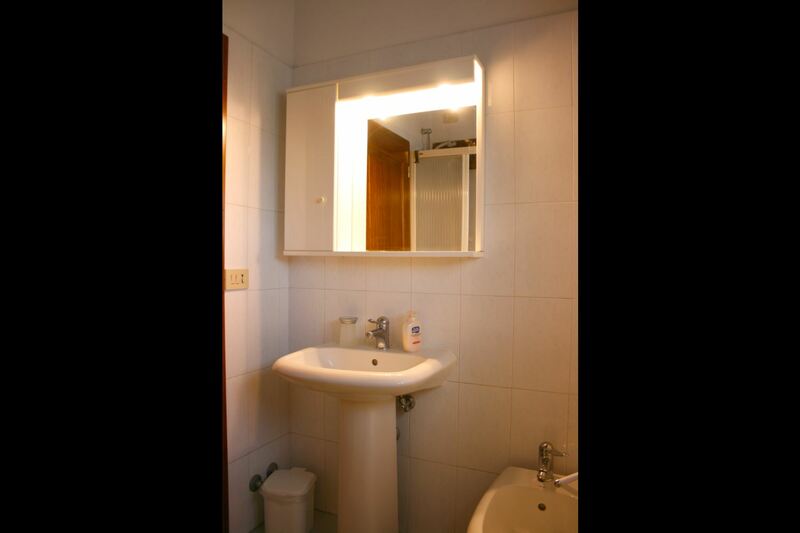 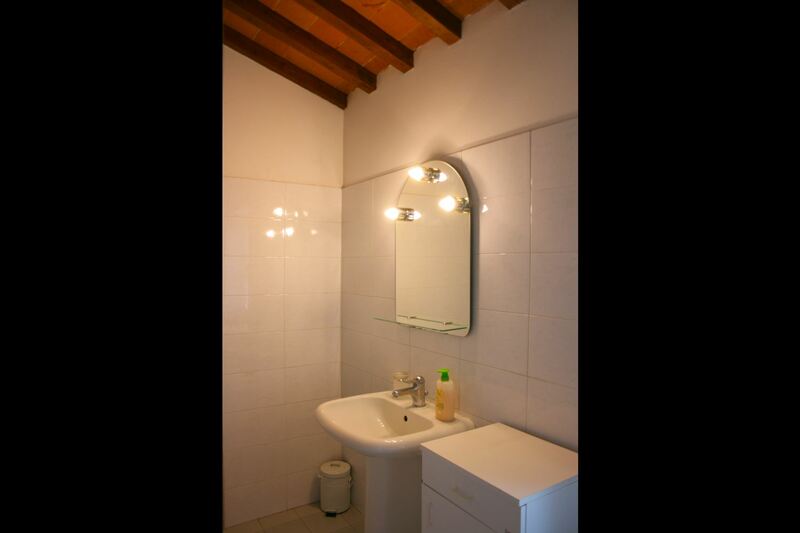 3 bedrooms, Free Wi-Fi access, satellite-Tv, pets welcome. 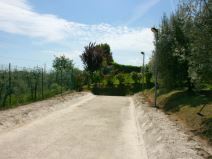 Wide, enclosed and panoramic garden. 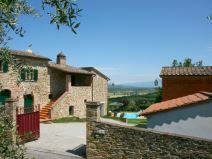 Monte San Savino, ceramics and Renaissance sculpture. 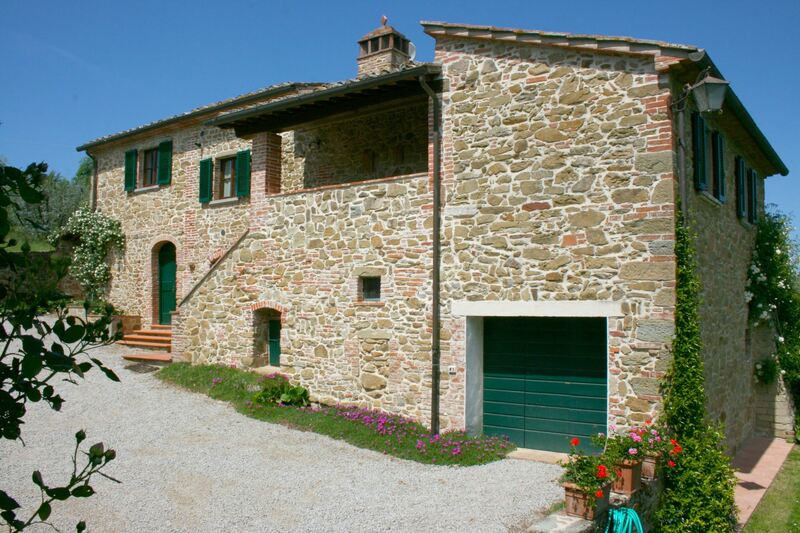 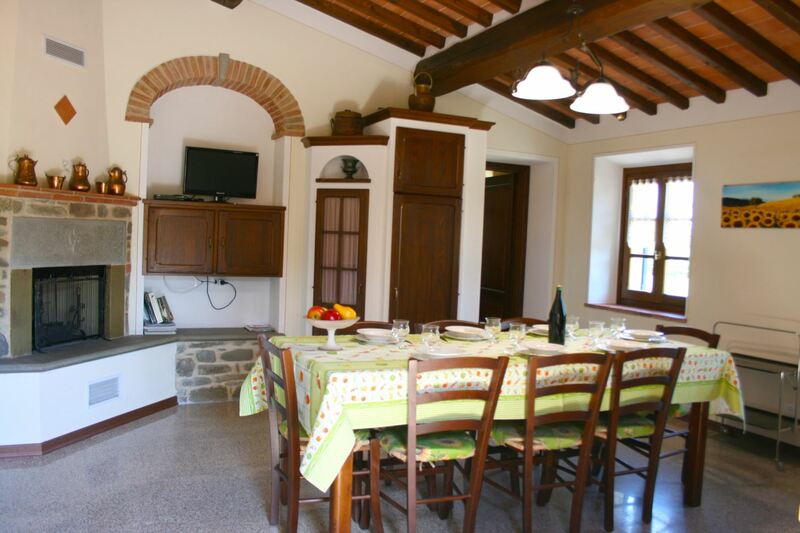 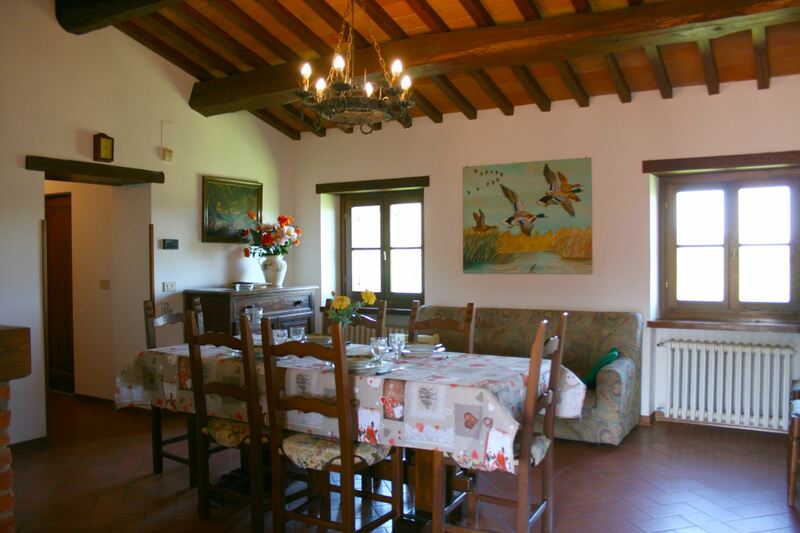 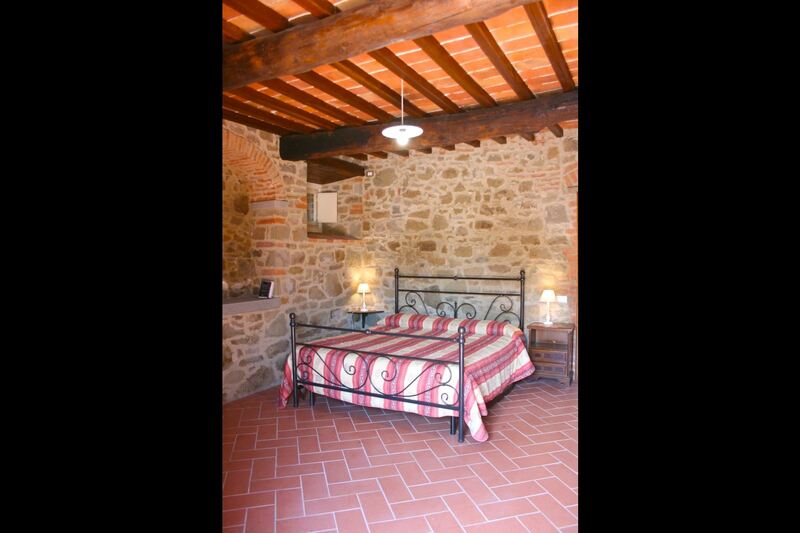 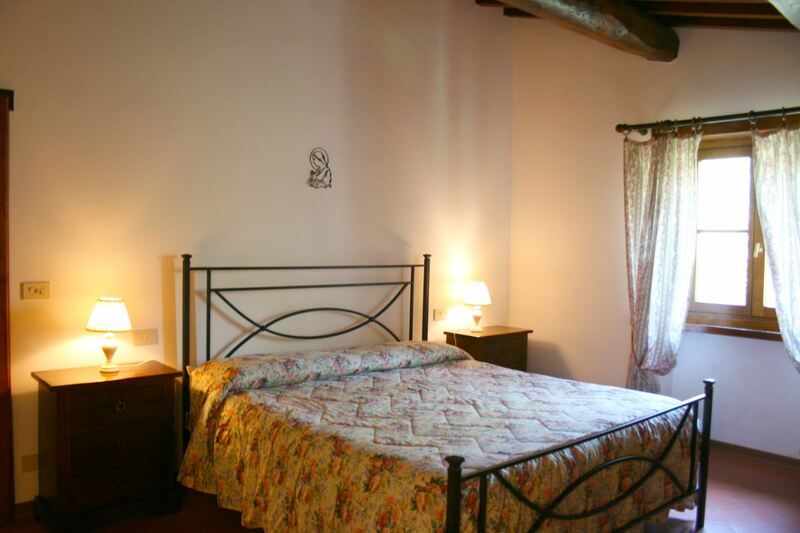 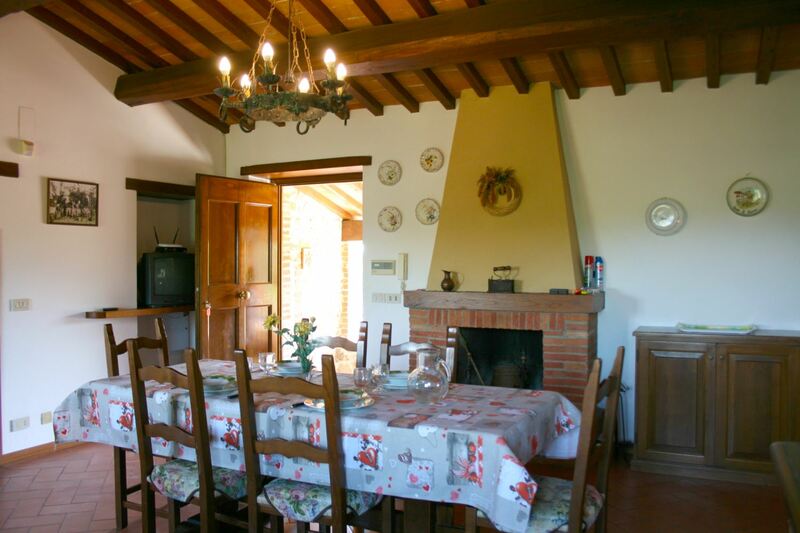 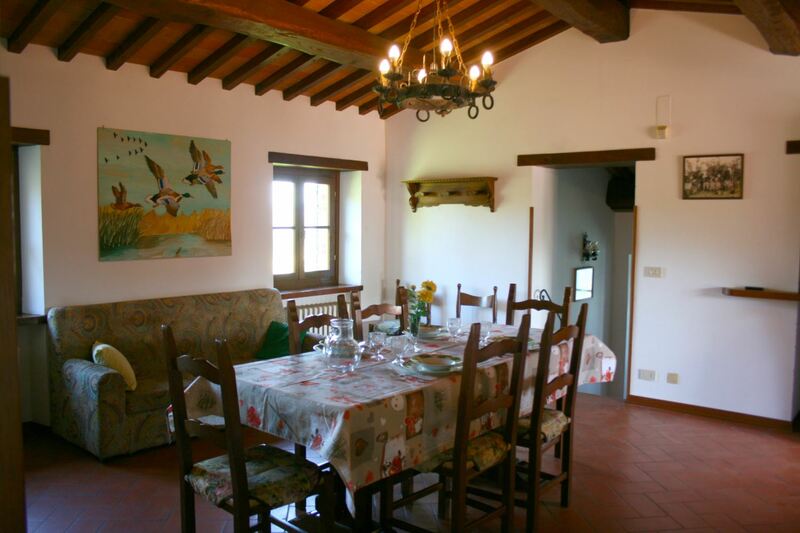 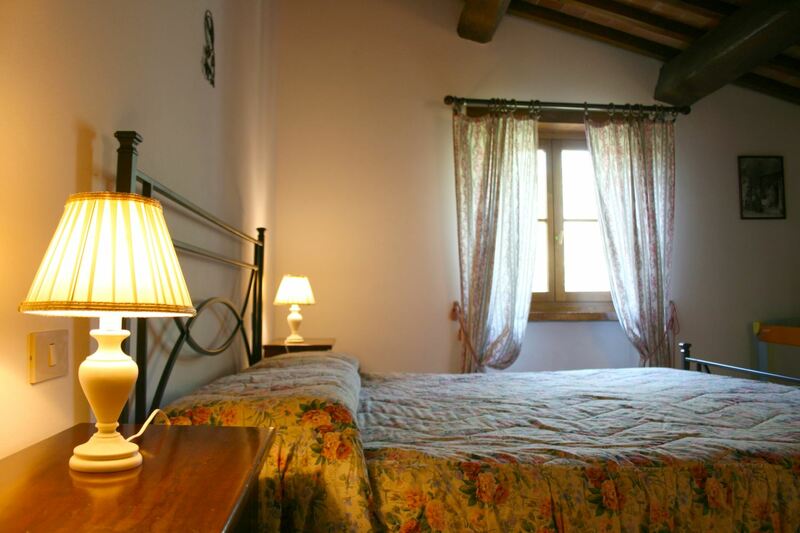 An old farmhouse set in the hills near Monte San Savino, an ancient town with but all modern services. 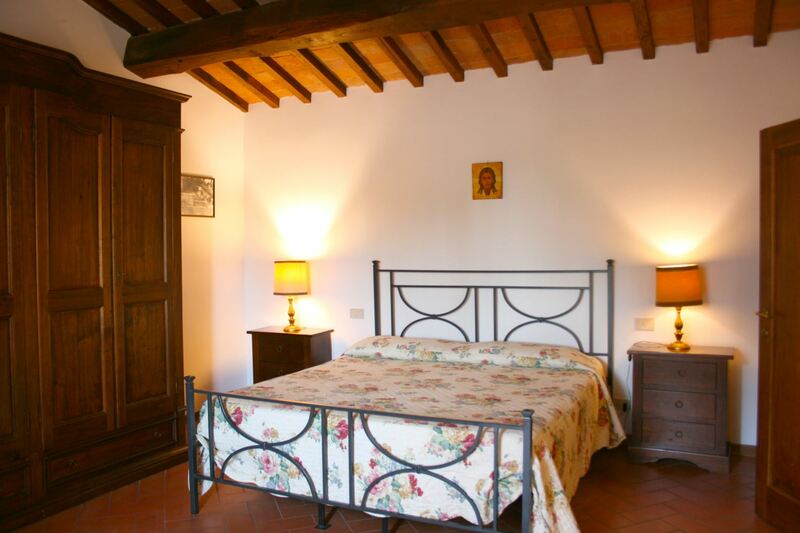 The town is famous for the production of ceramic art according to an ancient local tradition and is also the birthplace of the great Renaissance sculptor Andrea Contucci, called Il Sansovino, it still retains some of his masterpieces. 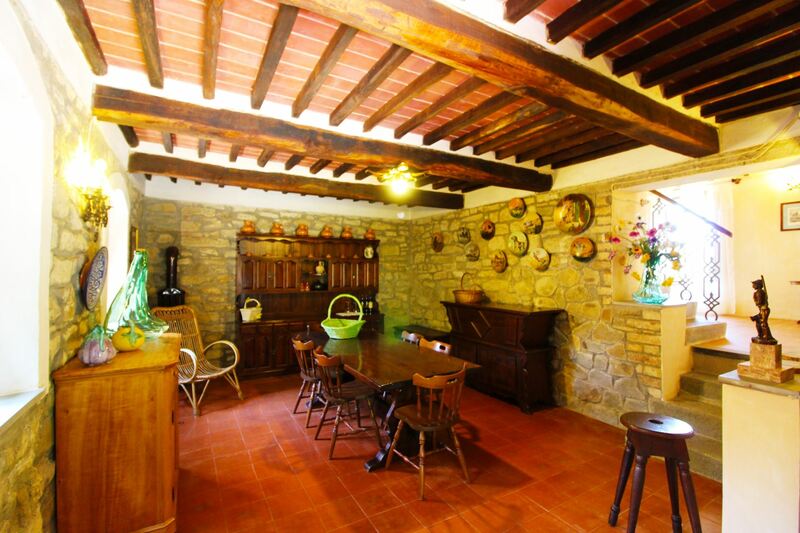 Old peasant farmhouse. 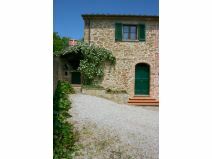 Careful restoration has transformed the old farmhouse into a comfortable holiday villa without losing any of its charm. 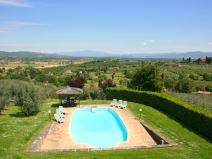 Panoramic garden and swimming pool. 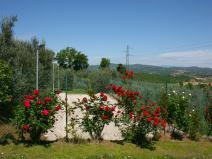 A beautiful and fanced garden (approx. 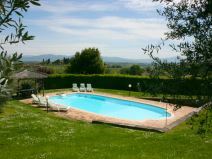 5000 sqm) equipped with outdoor furniture surround the villa, and offer a 6x12m size fenced swimming pool (depth 1,20-2,00m), a bowling alley, a wood-burning oven and a barbecue, all for guest's exclusive use. 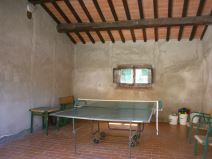 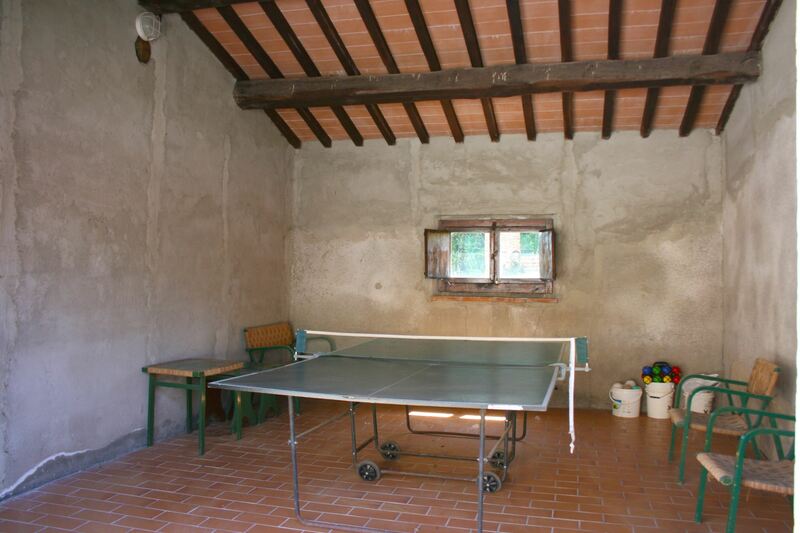 In front of the house an ancient barn hosting, in the ground floor open spaces, table tennis and two indoor car spots. 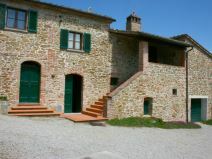 Following the morphology of the land the house is articulated on several levels and the rooms are connected by a few steps. 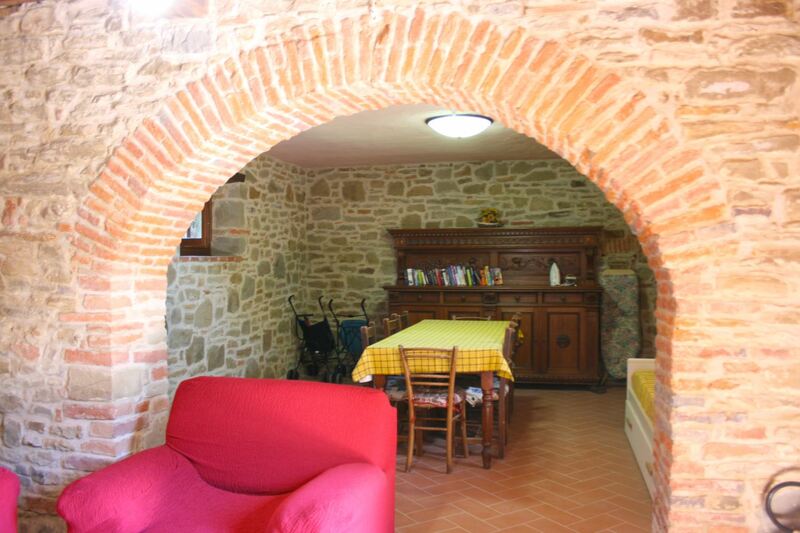 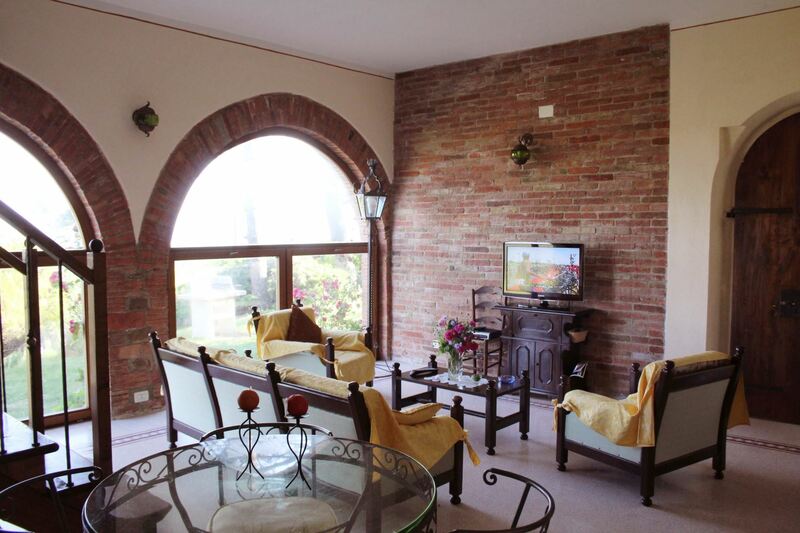 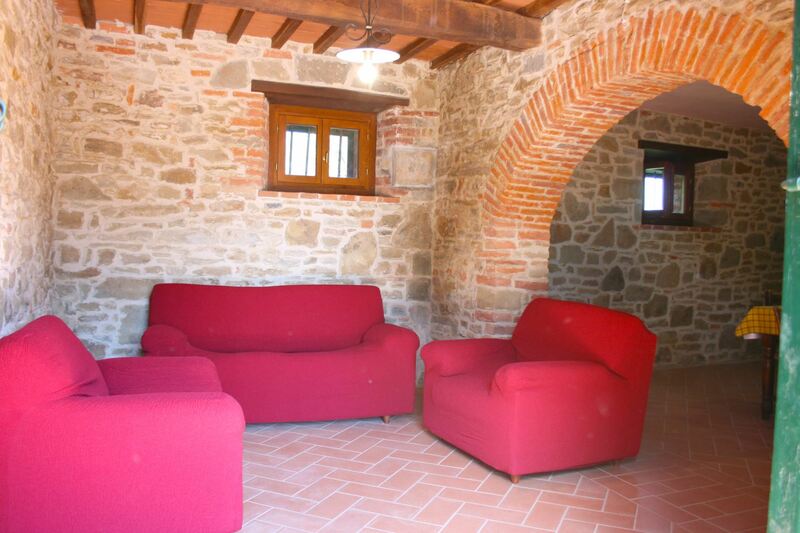 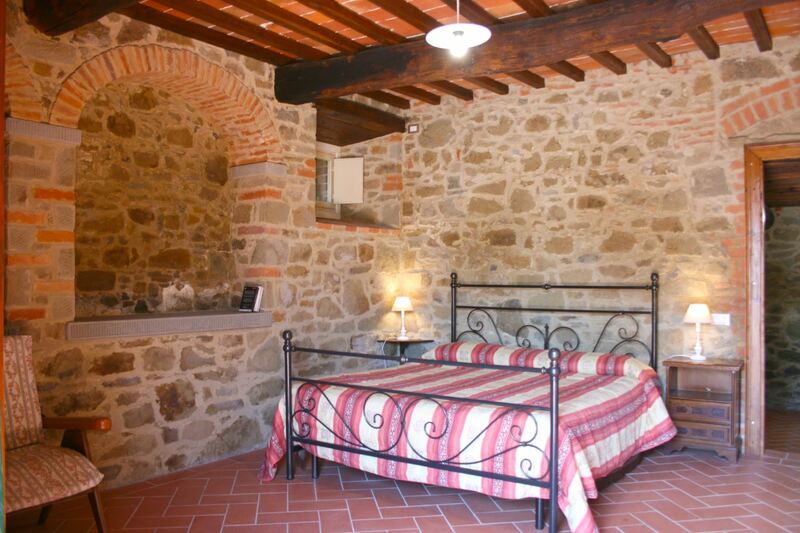 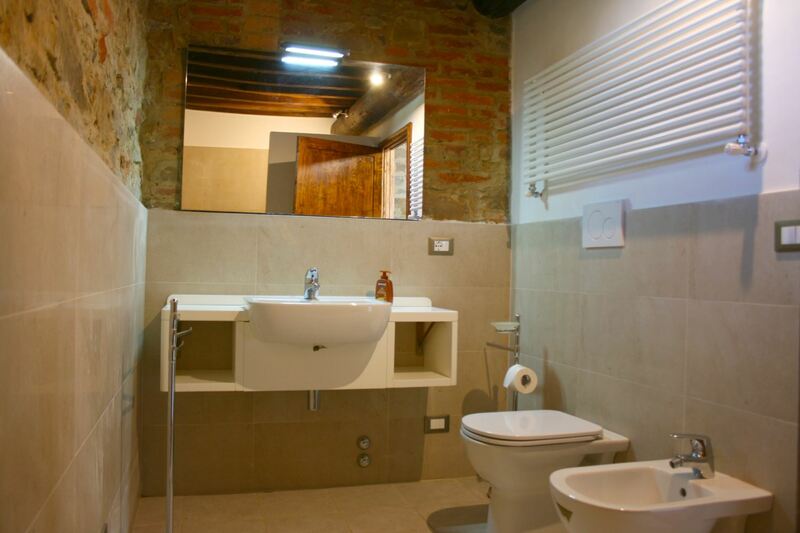 GROUND FLOOR: large rustic sitting room with characteristic stone walls and arches in bricks, double bedroom with private bathroom with shower and washing machine. 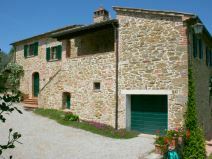 FIRST FLOOR: with entrance by external stone staircase and typical loggia, sitting/dining room with TV, open fireplace and sofa, kitchen, two double bedrooms, twin bedroom, bathroom with shower, bathroom with bath. 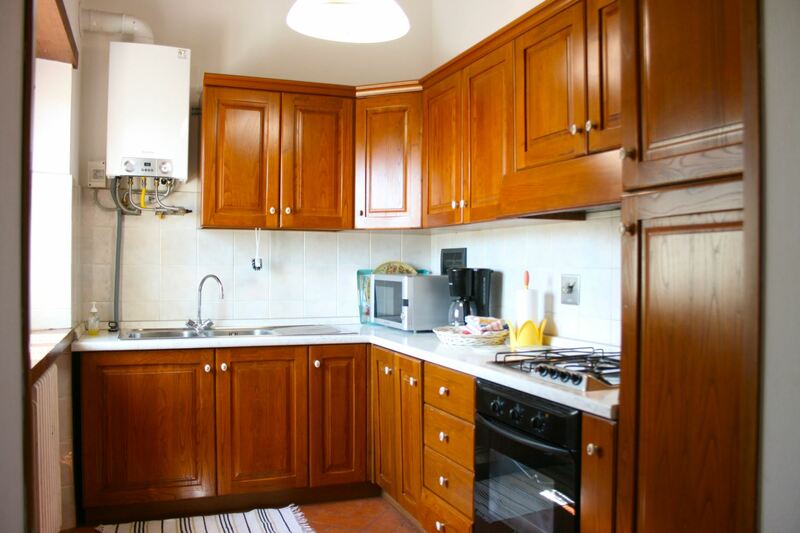 EQUIPMENT: dishwasher, washing machine, oven, microwave, filter coffee maker, small freezer, high chair, iron and ironing board, moka coffee maker, lemon squeezer, Wi-Fi Internet access, Satellite TV, table tennis, bowling alley, table, chairs, barbecue, wood burning oven, strollers (2).